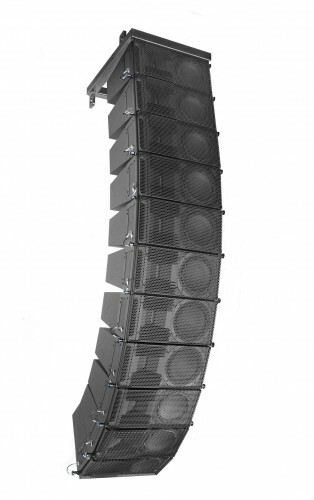 The LR7 is a passive 2-way “micro-sized” line-array sound system, to be used as vertical array, either in stacked or flown configuration, for both portable and permanent installations. 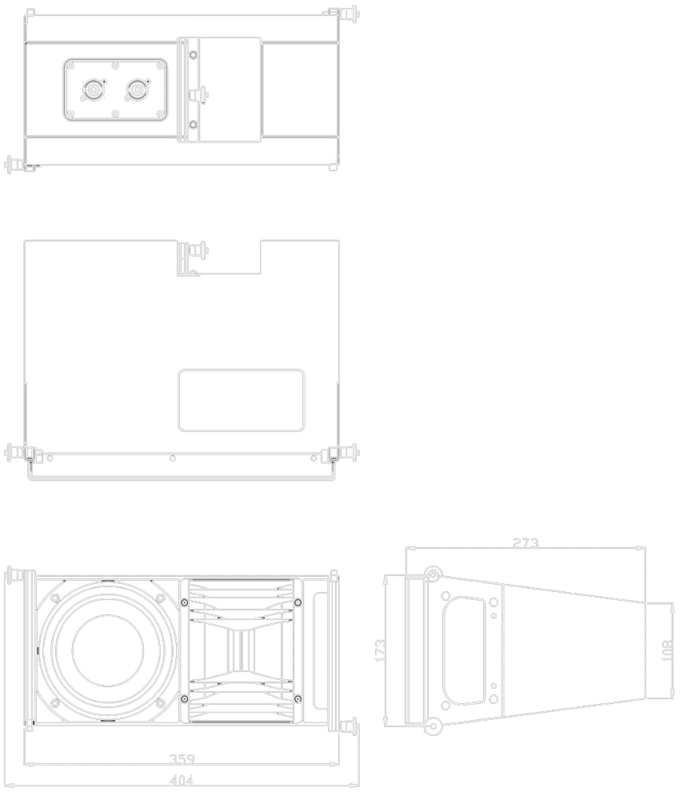 Loaded with the RBN401 pro-ribbon driver on a “Morpher” lens (up to 94% frontal radiation), the system offers a very high throw-efficiency and projection control up to directly under the array, due to the pro-ribbon’s all-natural cylindrical (Isophasic) wavefront. 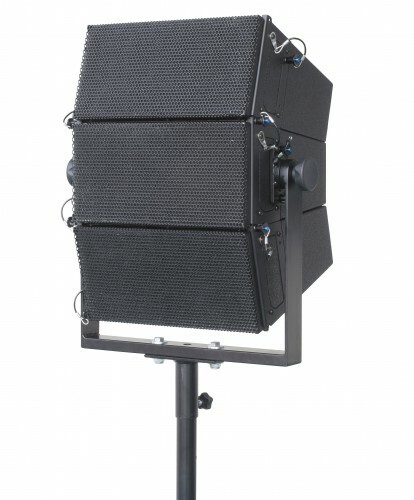 Its transient response and unusual high peak power handling (800W @ 200ms) cater for a perfect intelligibility from the lowest to the highest SPL with a 1:15 dynamic range, while offering maximum “gain-before-feedback”. The system features a consistent, patented horizontal dispersion with seamless coverage, available in 90° and 120° configuration. 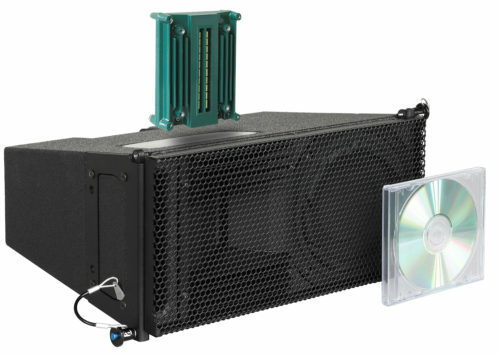 The micro-compact size, combined with the weight-saving all-Neodymium drivers, makes the system very easy to handle in a wide variety of configurations; As stacked or flown line-array, or with 3 or 5 modules as “speaker-on-a-stick”; In applications where extended bass response is required, the LR7 can be combined with the LR7B line-array bass module and/or a stacked subwoofer system. The Androgyn™ flying hardware enables an acoustically-symmetric left / right system, with the asymmetric LR7 module. 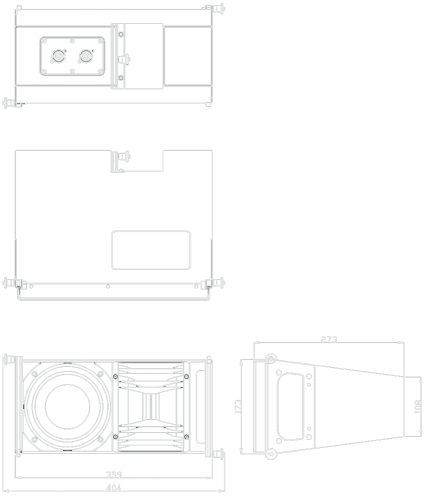 The LR7 is driven by the Sentinel amplified loudspeaker controller, optimising the system’s response by LR7-specific drive processing and feedback for each array configuration, including presets for phase-matched low-frequency extensions. The Signal Integrity Sensing™ pre-wiring ensures dynamic cable/connector compensation between the LR7 and ALC; This offers a 1:1, undistorted natural sound reproduction, regardless of cable length and amplifier impedance load (system damping factor 10.000). 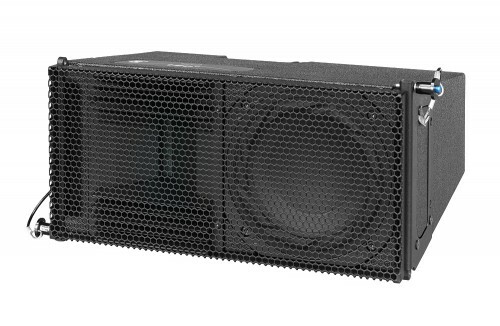 Typical (short to medium throw) applications for the LR7 include as compact main system for performing arts theatre, A/V or corporate events where with exceptional sound reproduction is required, with minimal sightline obstruction.